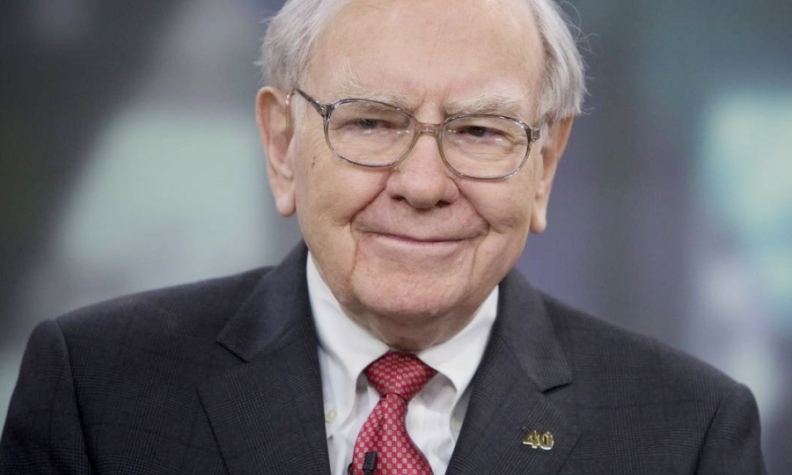 Warren Buffett's Berkshire Hathaway Inc. agreed to buy Van Tuyl Group, the largest privately owned U.S. auto dealership group. The business, with 75 dealerships at the end of last year, will be renamed Berkshire Hathaway Automotive and will continue to be run by Larry Van Tuyl, Berkshire said today in a statement. In an interview with CNBC, Buffett said the acquisition would be in the form of an all-cash deal. Terms weren't disclosed. "I fully expect we'll buy a lot more dealerships over time," Buffett said. Van Tuyl, now based in Phoenix, will move its headquarters to Dallas, Berkshire said. Larry Van Tuyl, CEO of the family business, will be chairman of Berkshire Hathaway Automotive and Jeff Rachor will be CEO. “We’ve gone a long time without getting into automobiles, but Larry’s got an operation that we think could be scaled up a lot from where it is," Buffett said on CNBC. Buffett, 84, has been drawn to businesses that have opportunities to expand through acquisitions. Such bolt-on purchases allow his deputies to deploy part of Berkshire’s cash pile, which was more than $55 billion as of June 30, and free his time for larger deals. Over the last two decades, the car dealership industry has consolidated as companies like AutoNation Inc. and Penske Automotive Group Inc. built their networks. That trend is poised to continue, said Tim Lamb, president of Tim Lamb Group LLC, a dealership brokerage company in Granville, Ohio. Van Tuyl operates in states including California, Florida and Texas. The deal is expected to be completed in the first quarter of next year, according to the statement. Van Tuyl's banker is Stephens Inc., and DLA Piper is providing legal advice. Haig estimates that Van Tuyl is valued at more than Group 1 Automotive Inc., which has a market capitalization of $1.8 billion, and less than Penske Automotive, which has a value of $3.7 billion. AutoNation, the largest new vehicle retailer in the U.S., had about double the annual revenue of Van Tuyl last year and is valued at more than $6 billion. Extending the use of the Berkshire name will attract customers who view the company positively, Keefe Bruyette & Woods analysts led by Meyer Shields wrote in a note to clients today. In terms of new-vehicle retail sales, Van Tuyl ranks behind publicly traded Sonic Automotive Inc., Group 1, Penske Automotive, and No. 1 dealership group AutoNation. “I welcome the entry of Warren Buffett and Berkshire Hathaway into auto retail,” AutoNation CEO Mike Jackson said in an e-mailed statement this morning. Van Tuyl had 75 dealerships that sold 130,447 new vehicles in 2013, according to Automotive News research. On Wall Street, stock prices for U.S. publicly traded auto groups rose today. AutoNation shares closed up 6 percent, Penske Automotive 2.7 percent, Group 1 3.4 percent, Sonic 2.7 percent, Asbury Automotive Group Inc. 3.6 percent and Lithia Motors Inc. 10 percent. Lithia on Wednesday said it closed on its acquisition of DCH Auto Group. Used car giant CarMax Inc. rose 1.6 percent as well. "Berkshire Hathaway's purchase should positively affect auto-retailer shares this morning," Wells Fargo analyst David Lim wrote in report. "That said, we are somewhat surprised by this development as dealer acquisition costs remain elevated and industry unit sales is approximately 6 percent from the 17.3 million peak (achieved back in 2000). In addition, OEMs limit the number of franchises owned by a single dealer group."